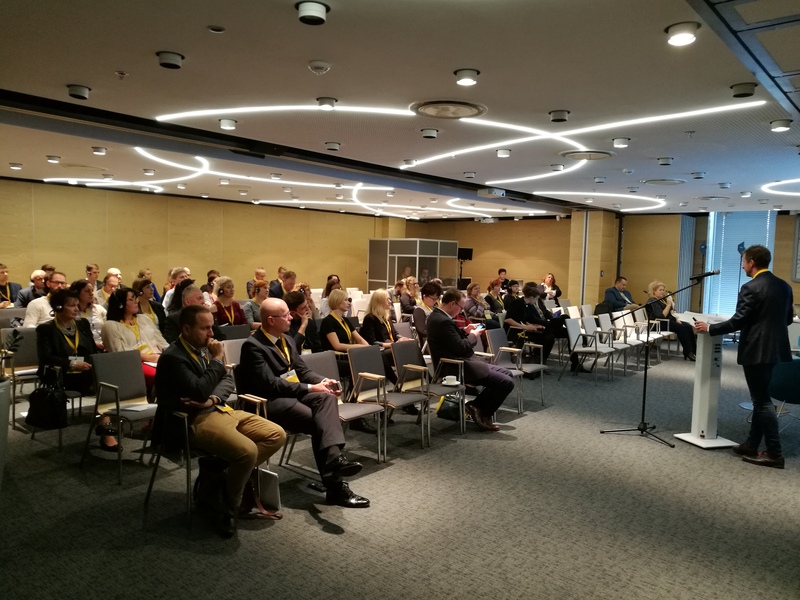 Innovation procurement was the main topic of the 1st PPI2Innovate days which took place on 3rd of October 2017 in Lublin, Poland. 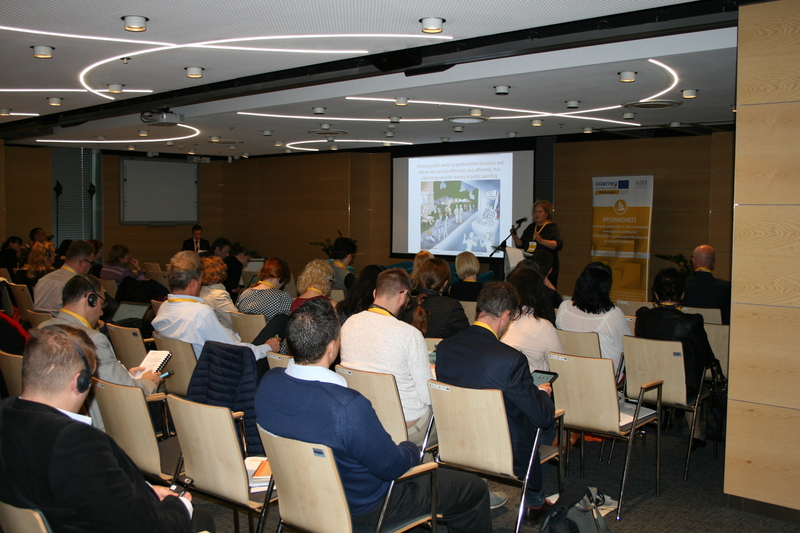 This event, organized by Rzeszow Development Agency, brought valuable information to all participants. At the outset, Mr. Akos Szepvolgyi from CTRIA talked about importance of PPI2Innovate project and benefits for public procurers. He did not forget to mention the possibility to download fully customized PPI2Innovate tools for Hungary, Czech Republic, Italy, Croatia, Poland and Slovenia. Mr. Jan Kubalik from DEX Innovation Centre explained the difference between PPI and PCP. He also focused on reasons why to use these innovation procurements. Jan also introduced PPI and PCP based on Lean Startup Methodology and shown practical examples. The main point of the program was the presentation delivered by an external expert at the European Commission in the field of PPI, Ms Sara Bedin. In her presentation she explained what innovative contracts are and how the European Commission sees them. She pointed out the roles and tasks that stand before the contracting authorities. Public finance entities have huge financial resources that spend each year purchasing the goods, services and construction works they need. The increase in the number of orders for products and services that are not based on standard solutions indicates the need to raise awareness of the importance of PPI in everyday life. Ms Bedin explained the position of the European Commission on innovation in procurement. The European Commission divides innovative procurement orders into pre-commercial (PCP), which can "be used when there are no solutions close to the market and new research and development is needed", and public procurement for innovative solutions (PPIs) aimed at acquiring existing innovations that have not yet reached full commercialization but do not require new R&D. How to search for innovation? This question was responded by Katarzyna Cichon from KPMG Poland, who also talked about barriers between suppliers and public procurers, methods of crowdsourcing and benefits of cooperation of suppliers and public procurers. These presentations were followed by examples from praxis. Mr. Marcin Kautsch, Expert on health care Management presented about LCB Healthcare project and introduced Rawicz Hospital pilot – purchase of working clothes for medical personnel made of innovative material. Mr. Mateus Lichon, Project Assistant, presented successfully implemented project EcoQuip which improved efficiency, quality and environmental sustainability of healthcare through innovation procurement – investment process aimed at changing the conditions of the patients, by assembling photovoltaic panels. 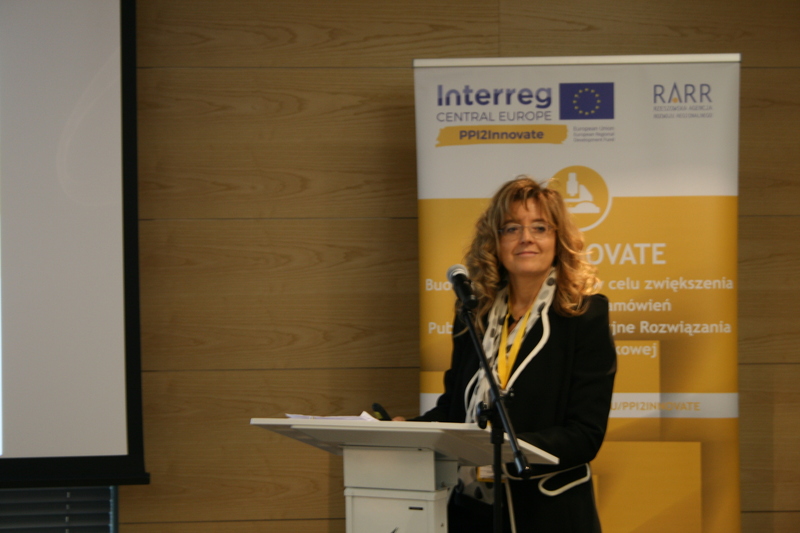 Professor Gabriella M. Racca from the University of Turin and Ms Anna Wójtowicz-Dawid from the University of Rzeszow referred to the special tool, which was developed within the PPI2Innovate project, facilitating the conduct of proceedings aimed at obtaining innovative products and services. Prof. Racca also talked about policy framework on innovation procurement, setting the boundaries and identification of needs. 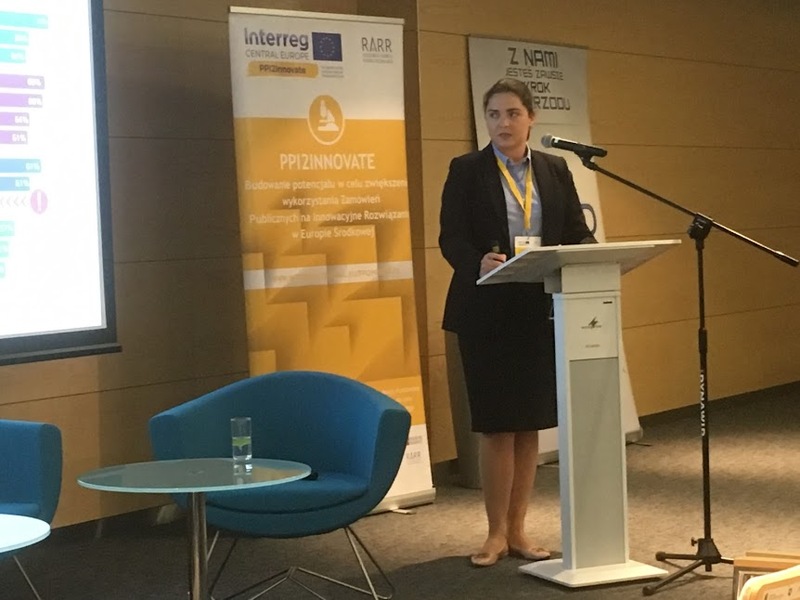 Ms. Wójtowicz-Dawid finally talked about Polish legal regulations and customization of PPI2Innovate tools for health, energy and ICT to regional frameworks. 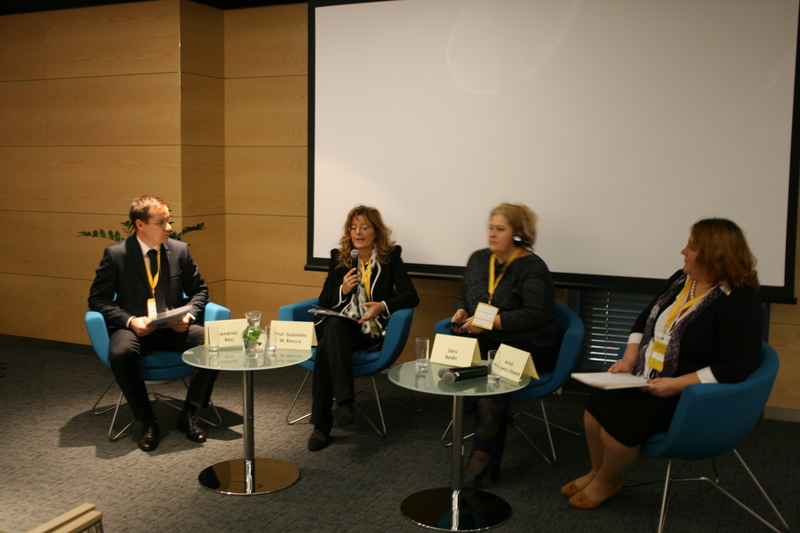 The event was ended by moderated Panel Discussion where Ms. Sara Bedin, Professor Gabriella Racca and Ms. Anna Wojtowicz-Dawid participated and talked about opportunities for social and economic development and environmental changes in the context of spending public funds on innovative procurement.